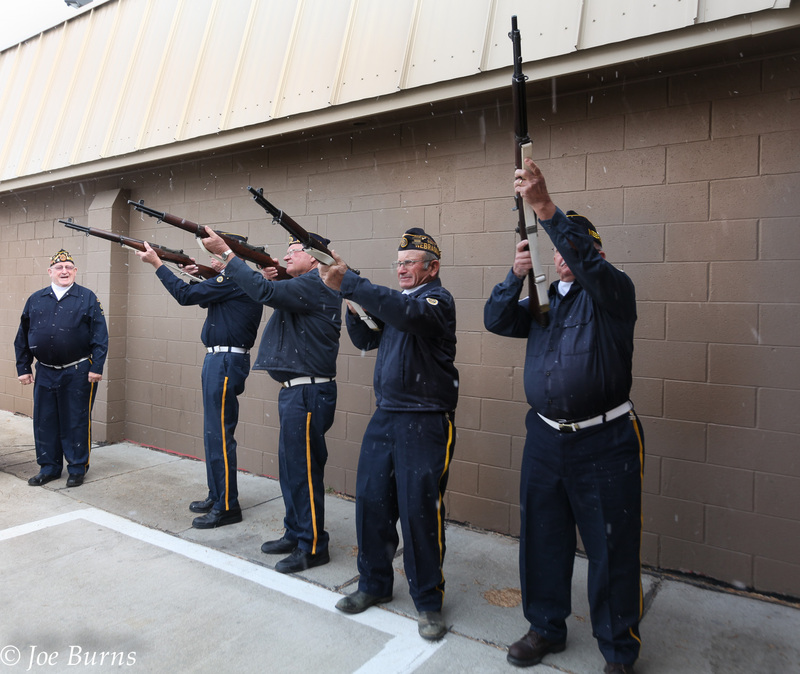 Snow flakes fell as the Jackson-Peck Post #274 Herman American Legion firing squad fired the salute to honor deceased veterans. Due to the bitterly cold wind, the annual event was moved into the American Legion Hall. 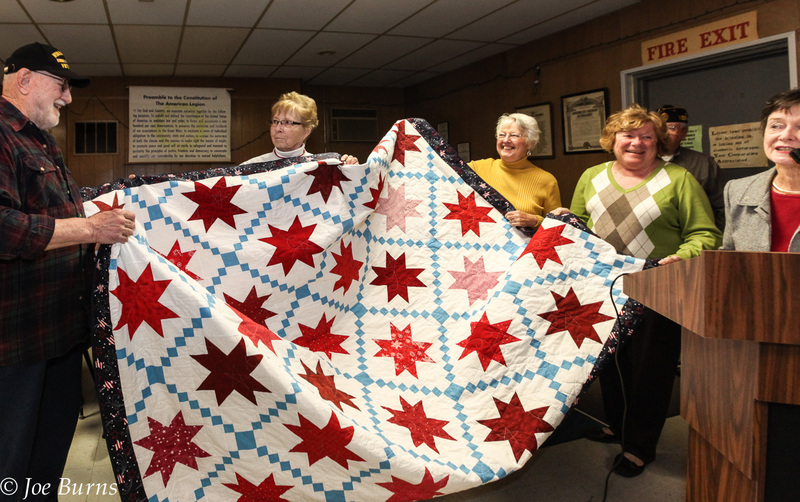 During the program, the Blair Bunch Quilters presented Wallace Merriam with a commemorative quilt to honor his service.